Volkswagen Financial Services AG kindly hosted last week’s Alumni Meeting and also welcomed HHL Dean Prof. Dr. Stephan Stubner. 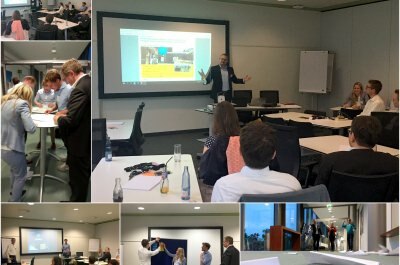 HHL Alumni together with employees from VWFS AG had the opportunity to learn about agile methods during a workshop carried out by Scrum Master Martina Winter (VWFS AG). Additionally, Jens Raabe and Simon Zinram from VWFS AG presented the best practice agile project #dmks. An inspiring evening!